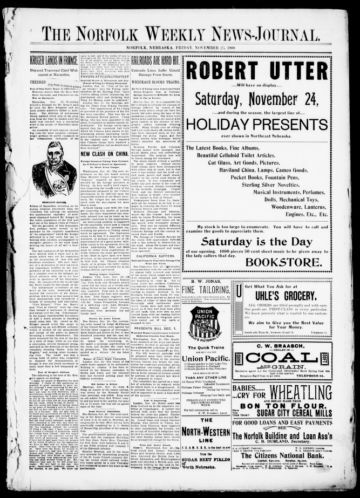 Nebraska Newspapers « The Norfolk weekly news-journal. (Norfolk, Neb.) 1900-19?? About The Norfolk weekly news-journal.